Excel Glogic Wheelchair. 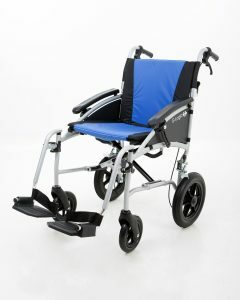 The Excel G-Logic Transit Wheelchair is the next generation of G-Range Lightweight Wheelchair from Van os.. The G-Logic Transit Wheelchair has a lightweight frame and comes with 12.5″ rear wheels. Choice of a blue and black Upholstery with an attractive Silver frame.